Missoula High School students join in the nationwide "climate strike", March 15, 2019. Fargo was one of at least tens of thousands of students from across the globe joining the coordinated so-called "school strikes" Friday. Cassie Farago at the "climate strike" in Missoula, March 15, 2019. The strikes were inspired by a 16-year-old Swedish activist who started holding solitary climate demonstrations outside Swedish parliament last year. Missoula students today expressed concerns about not only global climate change, but their disappointment in what they see as their government’s lack of action on the issue. "The President of the United States of America doesn’t think that climate change exists, so … yeah." 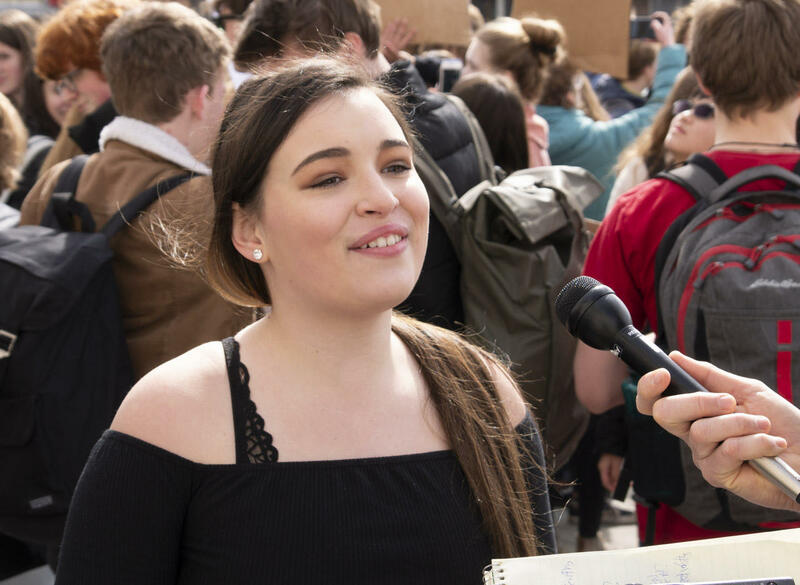 Hellgate senior Carson Brandt says there’s a political disconnect at play when it comes to the climate issue. "And that’s very concerning to us because there’s a generation gap between the politicians of today and the politicians of the future." Brandt would include Democratic U.S. House Representative Alexandria Ocasio-Cortez from New York as a politician of the future. Ocasio-Cortez and Massachusetts Democratic Senator Ed Markey introduced the ‘Green New Deal’ last month, intended to eliminate most, if not all, U.S carbon emissions. Critics jeer it as a comically impossible mish-mash of unrealistic goals. But Missoula’s Carson Brandt wants policy makers to give it chance. 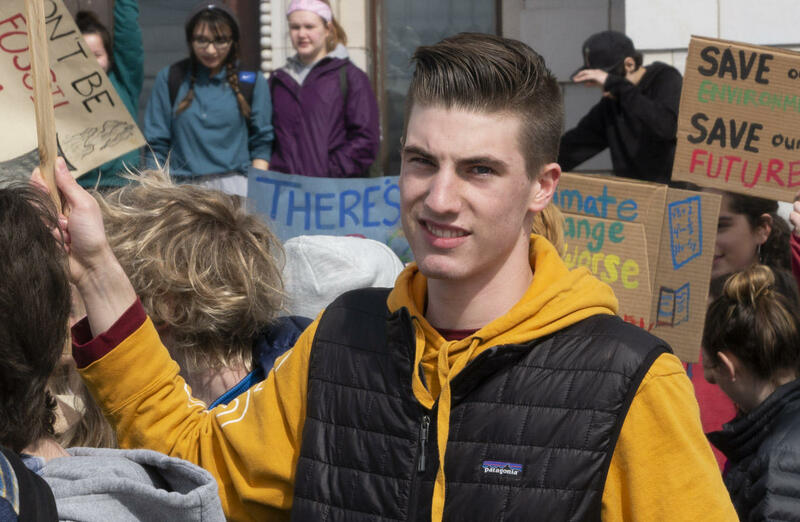 Carson Brandt at the "climate strike" in Missoula, March 15, 2019. Sentinel High Sophomore Aurora Segerstrom thinks climate change is an issue that transcends politics. The 16-year-old believes it presents an existential threat and must be confronted. "The climate heating up is definitely a huge problem with me. I don’t want even my children or grandchildren to have to deal with that kind of stuff," she says. A Missoula County school district spokesperson say students who left school to attend today’s strike would be marked as absent.